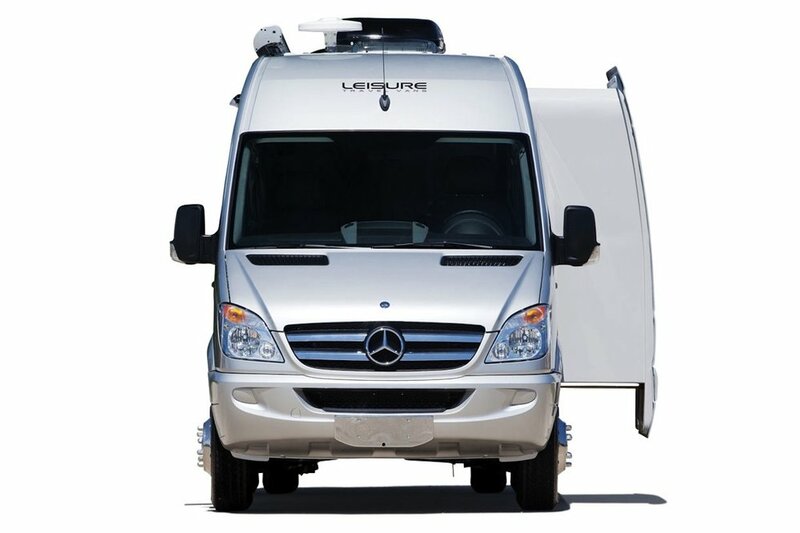 Leisure Travel Vans Free Spirit SS defines luxury campervan adventure. No other Class B van combines the driving ease and pleasure of a Mercedes Sprinter with an elegantly efficient studio-apartment-on-wheels. The first Sprinter with a slide-out-expanded living area, this design also affords a full-width bathroom with sky-lit shower in the rear. Fun, easy to drive and fuel-efficient, the 20 MPG Sprinter is nimble in town and parks in a standard space. Cruising on the highway is Mercedes-smooth and solid. If you can drive an SUV, you can drive the BlissRV eco-friendly Free Spirit SS. Press a switch, and an electric motor converts the sofa to a memory-foam-topped full size bed (54"x 80"). A cooling gel topper, luxury linens, silk comforter and pillows are provided. A complete galley, elegant bath, and plenty of storage make this van the perfect choice for couples touring together in style and comfort. With the slide open, there's room for relaxing and dining. An additional table sets up between the swiveling captain’s chairs, allowing dining for four. The best view of any coach! The FSSS’s huge sliding door with screen connects you to the grandeur of the outdoors, allowing expansive views from the sofa/bed and providing openness that RVs can't recreate.